The story of Scotland’s relationship with France is older even than the countries themselves. Kindred Celtic peoples in northern France were in close contact with their cross-channel neighbours even before the coming of the Romans, and after the latter had gone there such migration from Britannia that the area they tended to settle became known as Bretagne, Brittany. 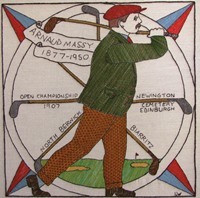 The connection between Brittany and the Celtic areas of Britain, including Scotland, has stood the test of time and is widely acknowledged. Cultural links are easily discernible, especially in regards to music. In early medieval Scotland, however, there emerged an important reverse diaspora group: the Normans. David I of Scots was so impressed by the Norman court and aristocracy which had taken power in England since 1066, that he invited northern French families and ideas into Scotland. New names appeared in the Scottish aristocracy, like the de Brus who became Bruces. 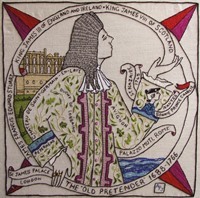 The Scottish royal houses of Bruce, Balliol, and Stewart all had Norman origins. Many of these families also had estates in France and England, so there were natural cultural, trade, and diplomatic ties between the nations. 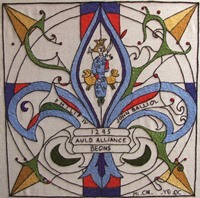 In 1295, when both France and Scotland were at war with Edward I of England, the two countries agreed a formal alliance for mutual aid: the Auld Alliance as it became known. 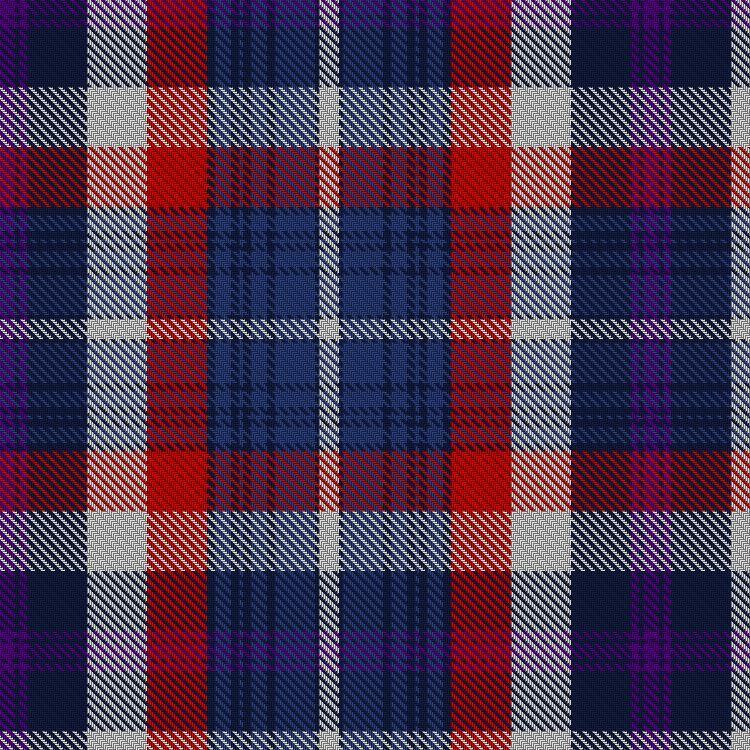 The treaty even now has its own tartan! The Alliance meant that from that point on the two countries would frequently be exposed to one another’s influence. In particular, large numbers of Scottish soldiers would serve in France and vice-versa. In 1418, Charles VII of France created a Garde Écossaise, a royal bodyguard formed of Scottish soldiers, which existed until 1830. As time went by more and more recruitment for “Scottish” units in French service was done in France itself, but in later periods – especially after the Jacobite Risings – Scottish exiles would once again seek service in their ranks. Part of the Royal Ecosse regiment returned to campaign in Scotland in 1745, fighting at Falkirk and Culloden. The last formal treaty of the Auld Alliance was the Treaty of Fontainebleau, promising French aid to Charles Edward Stuart. 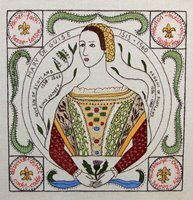 During the Rough Wooings of 1544-50, the French supported Scotland against proposals that the infant Queen Mary should marry an English prince (later Edward VI). French armies campaigned extensively in Scotland during this time, and eventually Mary was moved to France where she married the Dauphin. Her mother, from the powerful French Guise family, acted as Regent back at home. French visitors will have found much that was familiar in Scotland, including the Loire-style architecture of many Scottish castles. 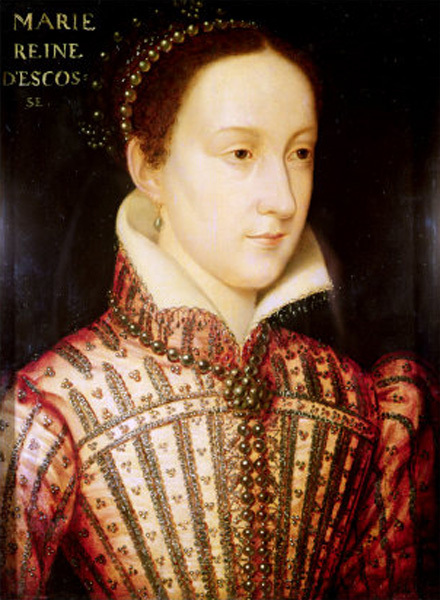 Mary was later briefly Queen of Scotland and France. As well as soldiers, scholars were exchanged. In 1325 a Scots College was established at the University of Paris. After the Reformation, the College became a natural refuge for Scottish Catholics and it took on a political as well as religious significance. It was sacked during the French Revolution. The Revolution, although it ushered in the long Napoleonic wars in which Scotland (by then a part of Britain) sent its regiments to fight against the French, also saw the rise of Etienne Jacques MacDonald, a highly respected general who became one of Napoleon’s marshals. 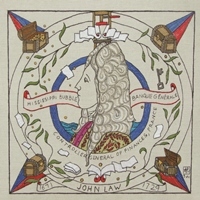 He was the son of a South Uist Jacobite and a relative of the famous Flora MacDonald! After Napoleon's fall, MacDonald visited the island in 1825 to discover more about his Scottish ancestry. The Boulevard Macdonald, Paris, is named after him. When the French retook the Bordeaux region during Hundred Years’ War, Scotland benefitted from a trade preference in French wine, and claret became a Scottish staple. The trade boomed for centuries, surviving even the Reformation, and there are still wineries with Scottish connections and roots today, such as Johnston & Fils. Nor have Scots been content only to trade: many have made significant contributions to French industry too. In the 1860s, John Scott of Scott’s Shipbuilding & Engineering Co Ltd, Greenock, established a shipyard at St-Nazaire in Britanny. Now the shipyards there are amongst the most famous in the world. It is also the site of the departure of Prince Charles Edward Stuart on his way to Scotland in 1745. 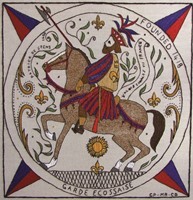 The Scots have long played a part in the history and development of France, leaving a legacy is cultural, military, and economic. 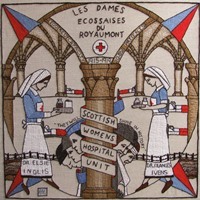 There are so many fascinating and engaging stories of the Scottish Diaspora’s role in France that the Tapestry can only represent a fraction of its significance. Tha sgeul mun dàimh eadar Alba agus An Fhraing nas sine fiù ’s na na dùthchannan fhèin. Bha daoine Ceilteach co-aigneach ann an ceann a tuath na Frainge ann an dlùth dhàimh ri a nàbaidhean tarsainn a’ chaolais fiù mus tàinig na Ròmanaich, agus an dèidh dhaibhsan falbh bha a leithid de dh’imrich à Britannia ’s gun robh an t-àite san robh iad buailteach tuineachadh air aithneachadh mar Bretagne, A’ Bhreatainn Bheag. Tha an ceangal eadar a’ Bhreatainn Bheag agus na sgìrean Ceilteach ann am Breatainn, a’ gabhail a-steach Alba, air seasamh suas ri tìm agus air aithneachadh fada is farsaing. Tha ceanglaichean cultarach furasta an aithneachadh gu h-àraid a thaobh ciùil. Tràth ann an Alba nam meadhan-aoisean ge-tà, thàinig buidheann cudromach ath-diaspara am bàrr: na Nòrmanaich. Dhrùidh a’ chùirt Nòrmanach agus na h-uaislean a bha ann an cumhachd an Sasainn o 1066 cho mòr air Daibhidh I nan Albannach, agus gun tug e cuireadh do theaghlaichean agus beachdan à ceann a tuath na Frainge a thighinn a dh’Alba. Thòisich ainmean ùra a’ nochdadh ann an uaisleachd na h-Alba, coltach ri de Brus a thàinig gu bhith Brus ann an Gàidhlig. Bha tùsan Nòrmanach aig taighean rìoghail Albannach Brus, Balliol agus Stiùbhart uile. Bha oighreachdan aig mòran de na teaghlaichean sin anns an Fhraing agus Sasainn, agus mar sin bha ceanglaichean nàdarrach cultarach, malairt agus dioplòmasach eadar na nàiseanan. Ann an 1295, nuair a bha an dà chuid An Fhraing agus Alba ann an cogadh le Èideard I Shasainn, dh’aontaich an dà dhùthaich ri caidreachas a chur air bhonn gus a chèile a chuideachadh: an t-Seann Chaidreachas mar as aithne dha. Tha fiù ’s a thartan fhèin aig a’ chaidreachas! Bha an Caidreachas a’ ciallachadh on àm sin air adhart gum biodh an dà dhùthaich fosgailte gu tric do bhuaidh a chèile. Gu h-àraid, bhiodh àireamhan mòra de shaighdearan Albannach a’ frithealadh san Fhraing, agus a chaochladh. 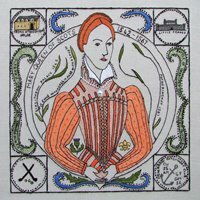 Ann an 1418, chruthaich Teàrlach VII na Frainge Garde Écossaise, geàrd rìoghail air a dhèanamh suas le saighdearan Albannach agus chùm e a’ dol gu 1830. Mar a bha tìde a’ dol seachad, bha barrachd is barrachd trusaidh ga dhèanamh airson aonadan “Albannach” anns an Fhraing fhèin, ach às dèidh sin – gu h-àraid às dèidh Ar-a-mach nan Seumasach – bhiodh fògarraich Albannach a’ sireadh seirbheis san arm aca aon uair eile. 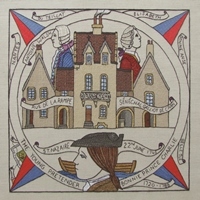 Thill pàirt de rèiseamaid Royal Ecosse gu iomairt ann an Alba ann an 1745, a’ sabaid san Eaglais Bhric agus Cùil Lodair. B’ e Cùmhnant Fontainebleau an cùmhnant foirmeil mu dheireadh a bha aig an t-Seann Chaidreachas, a’ gealltainn taic bhon Fhraing do Theàrlach Èideard Stiùbhart. Rè na Rough Wooings ann an 1544-50, bha an Fhraing a’ cur taic ri Alba an aghaidh mholaidhean gum bu chòir an naoidhean Banrigh Màiri prionnsa Sasannach a phòsadh (Èideard VI). Bha feachdan Frangach ag iomairt fada is farsaing ann an Alba aig an àm seo, agus mu dheireadh chaidh Màiri a ghluasad don Fhraing far an do phòs i am Prionnsa (Dauphin). Bha a màthair a thàinig bhon teaghlach cumhachdach Frangach Guise, a’ riaghladh na tànaistear na h-àite air ais aig an taigh. Bidh luchd-tadhail Frangach air mòran a lorg ann an Alba air a bheil iad eòlach, a’ gabhail a-steach na h-ailtireachd air stoidhle Loire ann am mòran chaistealan Albannach. Bha Màiri airson ùine ghoirid na dèidh sin na Banrigh air Alba agus an Fhraing. A thuilleadh air saighdearan, bhathar a’ dèanamh iomlaid air sgoilearan. Ann an 1325, chaidh Colaiste Albannach a stèidheachadh ann an Oilthigh Paris. 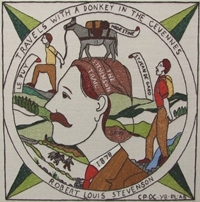 Às dèidh an Ath-leasachaidh, thàinig a’ Cholaiste gu bhith na tèaramann nàdarrach do Chaitligich à Alba agus ghabh i oirre cudromachd poilitigeach cho math ri creideamhach. Chaidh a sgrios aig àm na Reabhlaid Fhrangach. 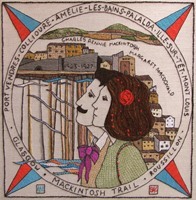 Ged a thàinig na cogaidhean fada Napoleonach anns an do chuir Alba (mar phàirt de Bhreatainn) a rèiseamaidean a shabaid an aghaidh nam Frangach, chunnaic an Reabhlaid èirigh air Etienne Jacques MacDhòmhnaill, seanalair dha robh mòr-spèis a bha mar aon de mharsalan Napoleon. B’ e mac do Sheumasach à Uibhist a bh’ ann agus càirdeach do Fhlòraidh ainmeil NicDhòmhnaill! An dèidh do Napoleon tuiteam, thadhail MacDhòmhnaill air an eilean ann an 1825 gus tuilleadh fhaighinn a-mach mu a shinnsearachd Albannach. Tha am Boulevard Macdonald ann am Paris air ainmeachadh às a dhèidh. Nuair a fhuair na Frangaich sgìre Bordeaux air ais ann an Cogadh nan Ceud Bliadhna, fhuair Alba buaidh à malairt fìon Frangach agus thàinig claret gu bhith cumanta is bitheanta ann an Alba. Bha a’ mhalairt seo soirbheachail airson linntean, a’ soirbheachadh seachad air an Ath-leasachadh, agus tha gàrraidhean fìona ann fhathast le freumhan is ceanglaichean Albannach gus an latha an-diugh leithid Johnston & Fils. Ach cha robh na h-Albannaich sàsaichte dìreach le malairt: tha mòran air cuideachadh gu mòr le gnìomhachas Frangach cuideachd. 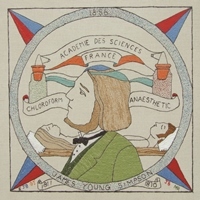 Anns na 1860an, stèidhich Iain Scott bho Chompanaidh Togail-shoithichean is Innleadaireachd Earranta Scott ann an Grianaig, gàrradh-shoithichean ann an St-Nazaire sa Bhreatainn Bhig. A-nis, tha na gàrraidhean shoithichean an sin am measg an fheadhainn as cliùitiche air an t-saoghal. ’S e cuideachd an làrach bhon do dh’fhalbh am Prionnsa Teàrlach Èideard Stiùbhart air a shlighe a dh’Alba ann an 1745. Tha na h-Albannaich o chionn fhada air a bhith nam pàirt chudromach de dh’eachdraidh is leasachadh na Frainge, a’ fàgail dìleab a tha cultarach, armailteach agus eaconamach. Tha a leithid de sgeulachdan iongantach is inntinneach mu àite an Diaspara Albannach san Fhraing agus nach urrainn don Ghrèis-bhrat ach bloigh de a chudromachd a riochdachadh.